Subtle perforations detail this handsome pair of Allen Edmonds‘ ‘Vernon’ oxford shoes. 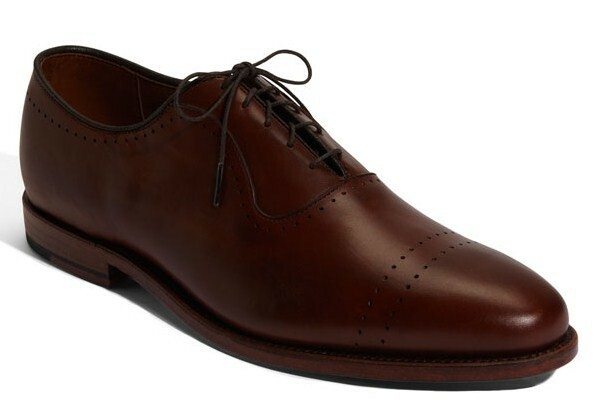 Available in brown and black, the dress shoes are constructed with a fine leather upper, lining and sole. Featuring flexible construction with a cork midsole that molds to the foot for optimum comfort, these shoes are available online now. This entry was posted in Footwear and tagged Allen Edmonds, Allen Edmonds Vernon. Bookmark the permalink.